SEOUL, South Korea (CNN) -- North Korea test-fired a fourth short-range missile off its east coast Thursday, South Korea's Yonhap News Agency reported. 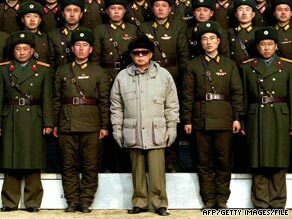 North Korean leader Kim Jong Il's administration has become more aggressive in recent months. South Korea's Defense Ministry had earlier confirmed three launches, but could not immediately be reached about the fourth reported missile. The first three missiles were fired at 5:20 p.m., 6 p.m., and 7:50 p.m. local time from Sinsang-ni near the eastern coastal city of Wonsan, a ministry spokesman said. A U.S. official told CNN "the missile firings come as no surprise." "The North has been carrying out provocative acts for some time," said the official, who did not want to be named for security reasons. "North Korea needs to stop this type of activity and return to the process of bringing about a denuclearization of the Korean peninsula." A U.S. intelligence official confirmed the test firings and said there are "no indications whatsoever" of an impending long-range missile test. The intelligence official, who could also not be named for security reasons, said the launches came as no surprise because North Korea had issued a warning to mariners to avoid an area in the Sea of Japan at certain times between June 24 and July 9 because of a "military firing exercise," according to a U.S. military communication about the warning provided to CNN. The North issued a similar warning before testing a long-range missile in April, but that warning indicated two potential danger areas more indicative of a long-range missile test. Thursday's reported test comes amid heightened tensions on the Korean peninsula. North Korea conducted a nuclear test in May, fired test rockets and threatened U.S. and South Korean ships near its territorial waters. Analyst Daniel Pinkston said the reported test might be training for a future test but it could also just be a routine military exercise. Russia had a low-key reaction to the reported test. Russian military experts are carefully studying the reports but the launches will not change the political situation, a spokesman for Russia's Foreign Ministry said.